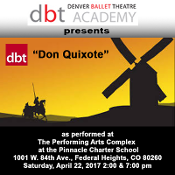 1001 W. 84th Ave., Federal Heights, CO 80260 on April 21st & 22nd 2017. NOTE: We'll be filming BOTH shows and making each one available in it's entirety! (computers, ipads, smartphones, etc.) that you can either view online or download to your PC!